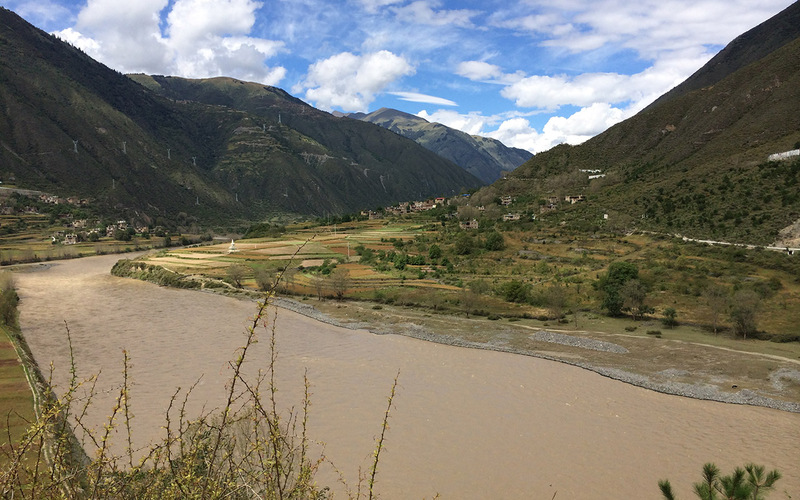 Fields in a valley in high-altitude Eastern Tibet. The effects of climate change are most pronounced in high latitude and high-altitude areas. Photo by Jade d’Alpoim Guedes. D’Alpoim Guedes and Bocinsky’s paper in Science Advances carries a positive title – “Climate change stimulated agricultural innovation and exchange across Asia” – but the co-authors also warn against a completely Pollyanna view. Kyle Bocinsky. Photo by Washington State University. This research was supported by National Science Foundation grants BCS-1632207 (to D’Alpoim Guedes) and SMA-1347973 (to Bocinsky). D’Alpoim Guedes also received support from the Chiang Ching-kuo Foundation for Scholarly Exchange (JS027-A-15) and Bocinsky received additional support as the William D. Lipe Chair in Research at the Crow Canyon Archaeological Center.